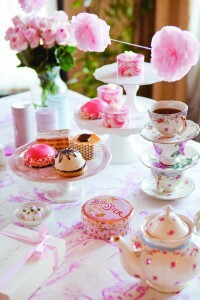 A classic tea party is a storybook event you’ve hosted since childhood, and it’s the ideal setting for Mother’s Day. For this occasion, rather than serving a plate of cookies to a guest list of dolls and teddy bears, bring your childhood favorites into an adult setting using the customs Mom taught you. 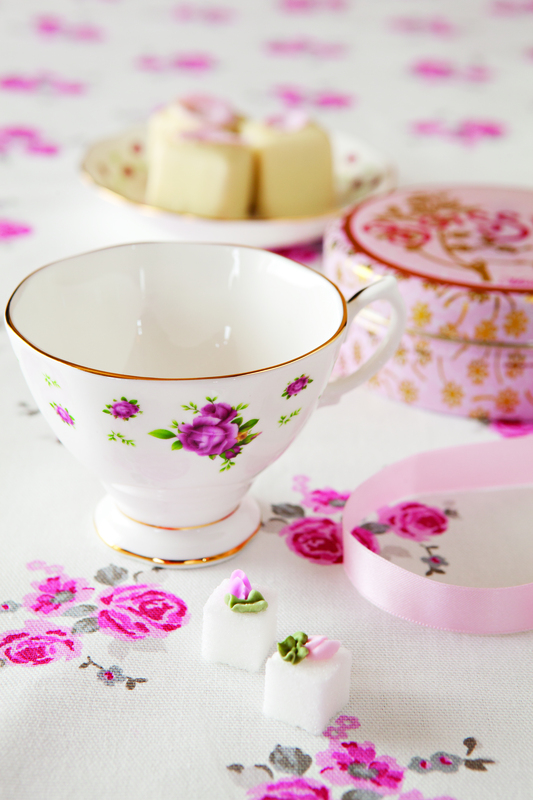 The more flowery and vintage the design, the better. 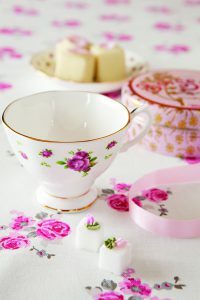 Here, a rose-patterned tablecloth is set with a floral teacup, which is complemented with like-minded items such as a pink tin of chocolates, petit fours adorned with rose petals and rosebud sugar cubes as a soft ribbon weaves its way through a tablescape of delicate pretties. Add to the setting’s flair with a variety of levels. 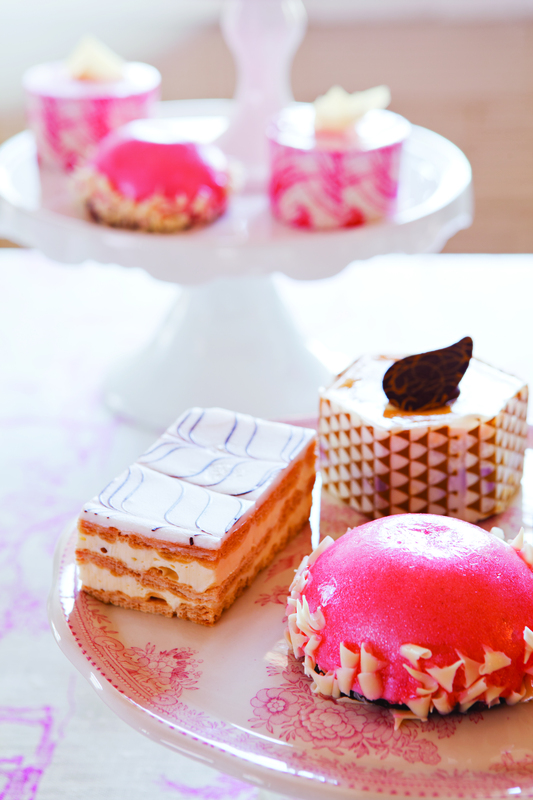 Cake plates with beautiful pastries are placed on the pedestal they deserve. 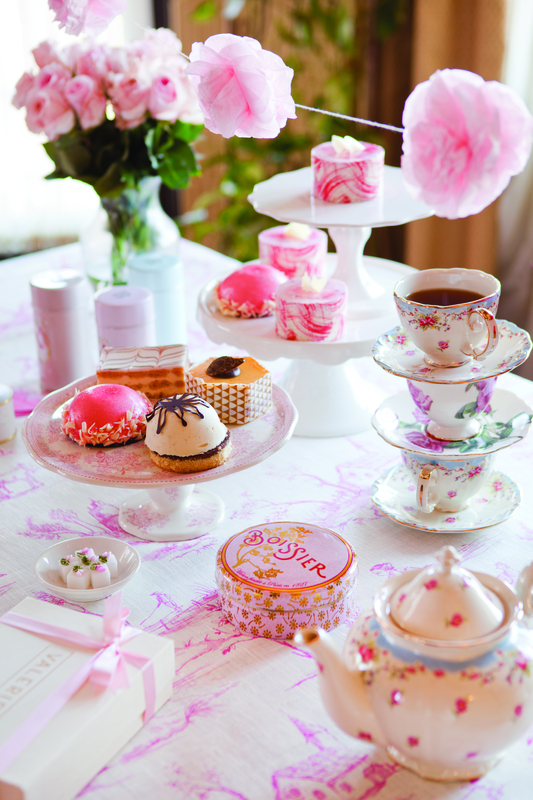 A stack of teacups adds a whimsical touch and showcases a fantastic collection of timeless china. 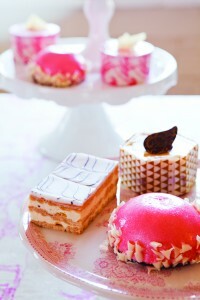 So use these fun and feminine touches to throw a tea party your Mom will not soon forget. Happy Mother’s Day! This entry was posted in Uncategorized by Flea Market Decor. Bookmark the permalink.